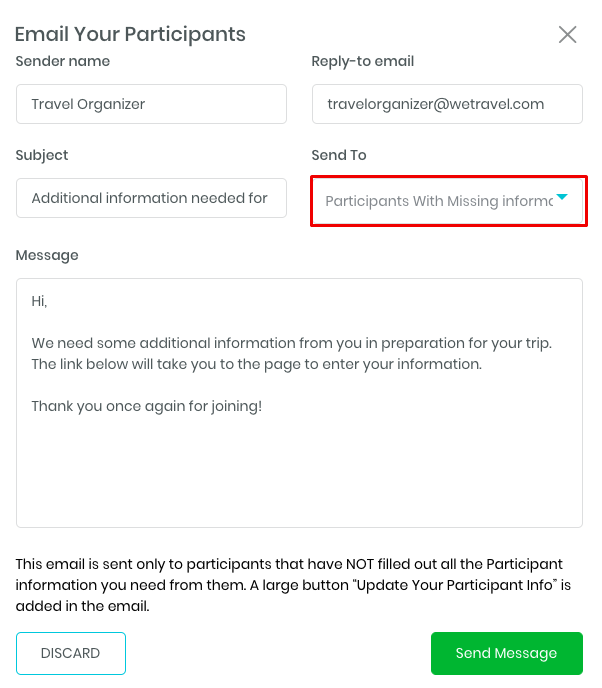 To request missing participant information, just go to your trip dashboard and scroll down until you see the "Message Your Participants" section. Select "Request Missing Participant Info"
You can now customize the subject line, sender, message, and reply address in the dialogue box. Make sure that "Send To" is set at "Participants With Missing Information". 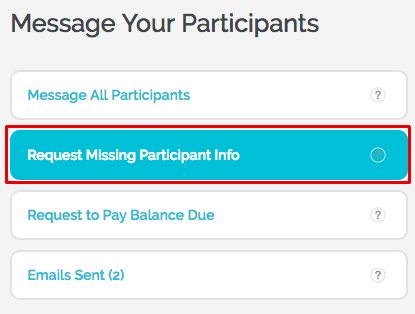 When you click "Send Message", it will only be sent to participants with empty fields in their participant information questionnaire.